HIGHLANDERS all but assured that their good name will not be discussed when people talk about relegation this season with a fine victory over struggling Triangle in a Castle Lager Premiership tie at Gibbo yesterday. 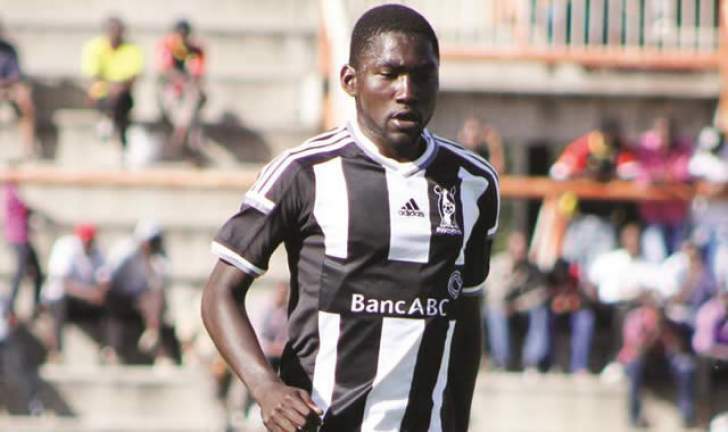 Triangle defender Guthrie Zhokinyi scored his third own goal of the season in the 40th minute to help the visitors take a lead their pressure deserved. The hosts equalised through their skipper Lameck Nhamo in the 56th minute from the spot as the forward scored his 10th goal of the season. Triangle gaffer Taurai Mangwiro made a double substitution at the start of the second half by bringing in Tendai Huwa for Dzingai Chirambamuriwo while Courage Denias came in for Eriko Phiri. Simon Munawa scored the second for the visitors after a goal-line melee and Ray Lunga ended the game as a contest in time added on. ''We have a team that can compete and win, I can assure you that we will survive,'' said Mangwiro. "I am just frustrated and this is the worst game we have played this season. We are looking at consolidating our position but when we drop points like this it becomes difficult as we have teams behind us breathing on our back." Bosso coach Elroy Akbay was a happy man. "I am very happy with the win but, most importantly, I am happy that we're scoring more goals, eight goals in three matches is quite good and if we continue like that we can finish as high as possible on the log." Highlanders: N. Madeya, B. Ncube, R. Kutsanzira (R. Lunga 76th min), S.Munawa, G. Makaruse, P. Mudhuwa, T. Ngulube, H. Moyo, E. Mudzingwa, A. Gahadzikwa, R. Matema.